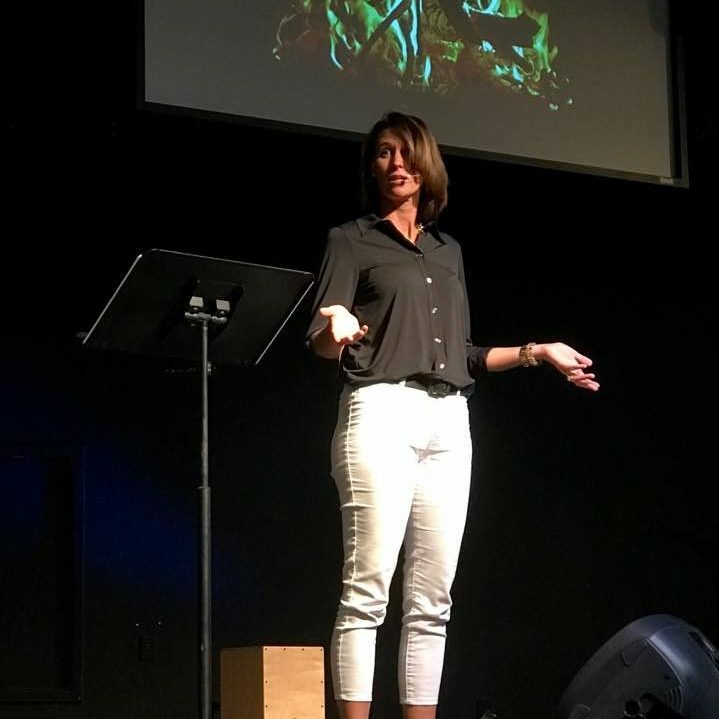 1 Peter: A Living Hope in Christ, Jen Wilkin. Epic of Eden: Isaiah, Sandra Richter. *The Call: Finding and Fulfilling the Central Purpose of Your Life, Os Guiness. *The King Jesus Gospel: The Original Good News Revisited, Scot McKnight. The Meaning of Marriage, Tim Keller. Uninvited: Living Loved When You Feel Less Than, Left Out, Lonely, Lysa Terkeurst. What have you enjoyed this year? What should I consider adding to my list? (1) To consistently remind you that Bible reading is a priority for all believers, it is not an extra thing super-Christians do in their spare time! Our goal is for you to become self-feeding – no longer eating only baby food on a spoon served by your pastoral staff – but a thriving adult who eats well and eats regularly. A church where the majority of the people are reading and studying the Bible daily will be a healthy, growing community and we pray that will be true of us! (2) To help you get started in the discipline of daily Bible reading. It’s one thing to know it’s important, it’s another thing altogether to carve out the time and mental energy to actually do it. I pray that the 10-15 minutes a day you spent reading your Bible in 2017 was richly rewarded. I pray you will continue with this habit for the rest of your life. I skipped many of the Psalms when I read through the OT in 2016, so now I’m going to read them. As you read ask, “What is the character of God revealed in this Psalm?” Give each Psalm a title in the margin of your Bible, instead of just a number. Highlight song lyrics you recognize – after all, the Psalms were the hymnal of the ancient church. Start somewhere, anywhere that looks interesting. Read one chapter a day. No fair rereading a book before you have read them all. If you keep at it, you will finish the whole Bible in 3 years. Psalm readers, you can do this too… and if you read the NT in 2017 then look how far you have come already! (c) Explore the You Version Bible App. If you prefer to read electronically, then explore the many reading plans available in this app. Just pick one and keep reading! I’ve turned in my research paper and finished my final exam – my first seminary class is done! Thank you to all of you who have supported me (to the ladies at The River who paid for my books!) and encouraged me not to lose sight of the end (you who take my phone calls when I need to vent, you know who you are!). A special thank you to Lynn Haven UMC who has been flexible with me studying, travelling for class, and given me a quiet office space. I discovered that I procrastinate by cleaning and doing laundry, so my house is still looking pretty good. Ha ha. I really enjoyed the academic work, but that is my nature. I was overjoyed to discover that my background in sociopolitical systems and other cultures is very relevant to modern Biblical studies. I found time management challenging – it was difficult to evaluate how much time to give to various projects, since they always expand to fill whatever time is allotted. I was annoyed to have to give up other activities to make time for studying… (I am coming back to tennis, I promise!) I struggled to keep things in perspective – when I had 100 pages of reading to do and it was 10pm, but my teenager wants to talk… then I would choose to set the book down and talk. In the end I keep reminding myself – I have a family, a job, a ministry, and friends – seminary is extra. Stay with it for the long haul, but keep it in its proper place. Thanks to all who have asked how I am surviving. Now, time to celebrate! We have come at last to the end, The Book of Revelation is the last book in the Bible and the last we will read on our journey through the New Testament in a year. Congratulations to all who are still reading with us! Revelation is clearly one of the most complicated and neglected books in the Bible. We know that it is important, but we cannot figure out what to do with all the symbolism and strange events, and we end up ignoring it completely. Consider whom it was written to and why, and perhaps that will give us a start. The consensus is that the Apostle John wrote Revelation while in exile on the island of Patmos (a Mediterranean Alcatraz of sorts!) He wrote it around 90 AD, some 60 years after the resurrection of Jesus Christ and the birth of the church at Pentecost. Churches across the Roman empire remained small, scattered, and persecuted. Jerusalem had been destroyed. It was undoubtedly difficult for Christians to persevere, there was doubt, conflict, and disappointment that Christ had not yet returned and set things right in the world. To these little, persecuted, frustrated church communities John writes the letter of Revelation. The book is firmly rooted in the historical context of the Roman Empire. As you read, work to identify broad themes. Who is God? How is He working in human history? Who is Jesus Christ? What happens to evil in the world? Is there any hope? Where does real power lie? What is the end of the story? Try not too get too caught up in figuring out the sequence of events, or what various symbols mean – much of it remains a mystery and many commentaries have been written on such things with no agreement. Remember that Revelation was not written to give us a precise timeline of history, but rather to offer hope and encouragement. (update) For those who asked for a commentary recommendation – I am reading and loving Revelation by Leon Morris, 2009, part of the Tyndale New Testament commentary series. It is written for a pastoral/ministry audience (not an academic one) and is very balanced. It is also firmly rooted in the historical context of the original audience, so many of the symbols they would have understood are explained. Dispensationalists would not like it. The last few chapters of the Gospel of John told the story of Jesus’ appearances to the disciples after His resurrection. It’s interesting that our reading plan then moves to the letters to the Thessalonians, a church that was afraid perhaps they had missed the second coming of Jesus. When Paul visited Thessalonica (in modern Greece) in about 49AD many came to faith in Jesus, but there was also a riot and he had to escape in the night. (Read about it in Acts 17.) Paul’s first letter to Thessalonians is one of the earliest letters he wrote, just a year or two after his visit that launched the church. In the letters we see Paul’s warm pastoral heart for this young church. He is excited for their genuine faith, and he longs to see them again. Paul writes less about doctrine in these letters, and much more about what faith looks like, how to live, enduring persecution, and having hope. These themes continue into 2 Thessalonians, though Paul is not quite as warm in tone. The end of the year is quickly approaching, and we have only 2 Peter and Revelation left to read! Congratulations, and hang in there!